We would love you to join our panel and start giving us your opinions on all kinds of subjects and in return we’ll credit your account. With your help we provide our clients with insight and feedback quickly. 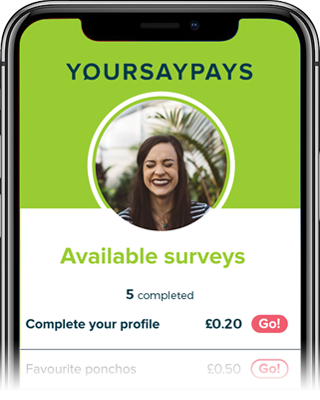 Our surveys cover all things including shopping, technology, public services and much more. You can sign up with only a few details and you will be able to complete your first survey with us. Do not worry about your data, it stays right here with us at YourSayPays. We do not share it with any third parties. If you change your mind you can ‘unjoin’ easily at any time and we promise to remove all your details permanently. You can log in to see what surveys are available for you to complete and at times we email you to let you know a survey is available. 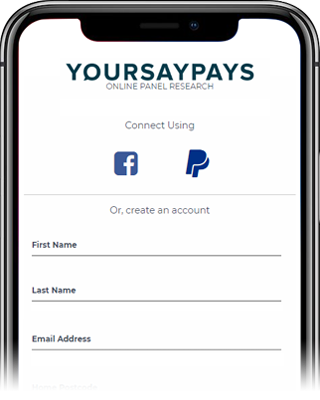 We only ever email you about YourSayPays surveys, nothing else. We collect your opinions and feedback and we thank you for your time and thought. 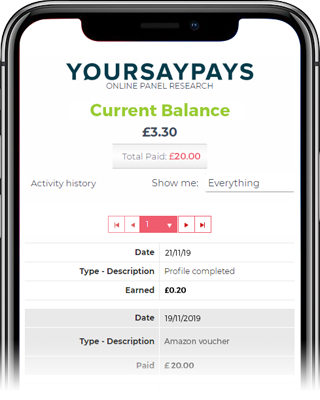 For each survey we will reward your account and when you reach £20 you can request a payout, we’ll pay it in to your PayPal account or send you Amazon vouchers, you choose which option suits you. Your feedback counts and helps our clients take action and when you request a payout we’ll pay you within 14 days. Complete your first survey and earn credit by filling in your profile information. Got to £20 this morning and already have the money going into paypal. Many thanks YSP, super-quick as always. Received my payment today always reliable thank you YSP. I really like YSP. Very refreshing that you can actually interact with a human being. Thanks YSP for quick cash out, YSP is great.